The August podcast is all about summery urban fun. Crafted by the Berlin-based journalist, eVe without Adam contributor & DJ, Dreea showcases her fine taste in music with a big selection of modern urban-flavored tracks to match her dress sense, from female R&B to Destiny’s Child Jersey edits to classic songs by Missy Elliot and Kelis and touches of masculine softness by the likes of Partynextdoor. 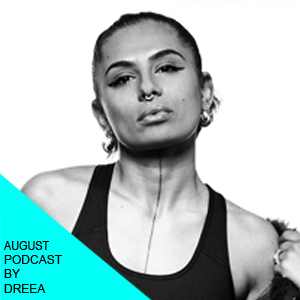 For more mixes head to Soundcloud, lock in to her radio show on Berlin Community Radio every second Wednesday and make sure not to miss Dreea on the 23rd of August at Tausend and at Berghain Kantine in September. Read more about Dreea on Eve Without Adam. Next Mary Ocher in the US: round two!